Introduction of Kumar! Our latest junior member. Kumar was rescued by Gael whilst on a trip to Lake Garda in Italy for a week of sailing in the summer. Whilst with Gael he developed an interest in Karate and after a lot of encouraging conversations Kumar has finally decided to give it a go. Kumar will be following the same training program as the junior under 8's and will be staying with the various members of Crookhorn, St Swithuns school, Wimborne school, Portchester and occasionally visiting the Netherlands and our sister club in Gouda. This story line is intended for the junior members of the club, but those older and still having a sense of humour are also welcome to pop in from time to time. 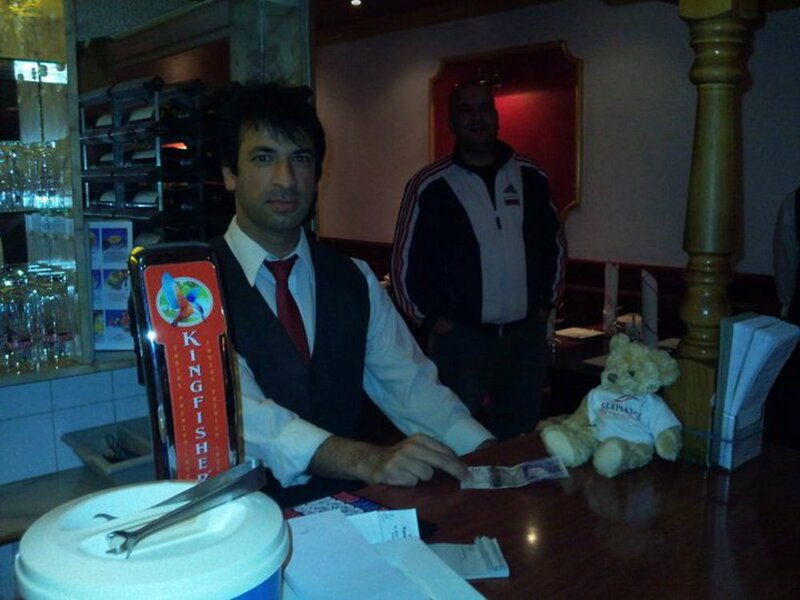 Kumar went for a curry with the seniors and paying his bill. He asked Sam "was his curry hotter than Sensei Dave's"?